​Officers are investigating an incident where a deceased person was located on the bike path behind Cole’s Bakery, 1188 Lakeshore Drive. The subject was found at approximately 9:45 p.m. on January 20, 2013, by officers who responded to the area after dispatch received a tip through Silent Observer. Muskegon Police located the body lying next to the bike path. 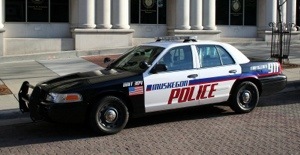 ​The body is that of a 37 year old Muskegon man; an autopsy is to be performed to determine the cause of death. Officers have confirmed the identity of the victim and the investigation is continuing. The name of the victim is being withheld pending notification of relatives. ​The Muskegon Police Department is asking anyone with information on this incident call us at 231-724-6750 or 231-722-7463.